Roasting softens the intense flavor of chiles, bringing out their earthy, smoky goodness. Roasting chiles until the skins are blistered and black also makes pulling off their skins as easy as peeling off a piece of tin foil. The method here uses an open flame from either a gas stove or a grill. You can also roast chiles and peppers under a broiler—check out how to roast peppers under a broiler for specifics. Use fresh, firm chiles for roasting. Choosing chiles with smooth and unblemished skins will make even roasting and peeling even easier. Note that this method works for any kind of pepper, from jalapeños to bells. Arrange the chiles over elements on a gas stove, on a grill, on a hot griddle, or under a broiler. Cook, turning to roast evenly, until the skin is blistering and blackened on as much of the chiles as possible. If you have a lot of chiles, this can easily be done in batches. Let the chiles sit at least 15 minutes or until they're cool enough to handle. 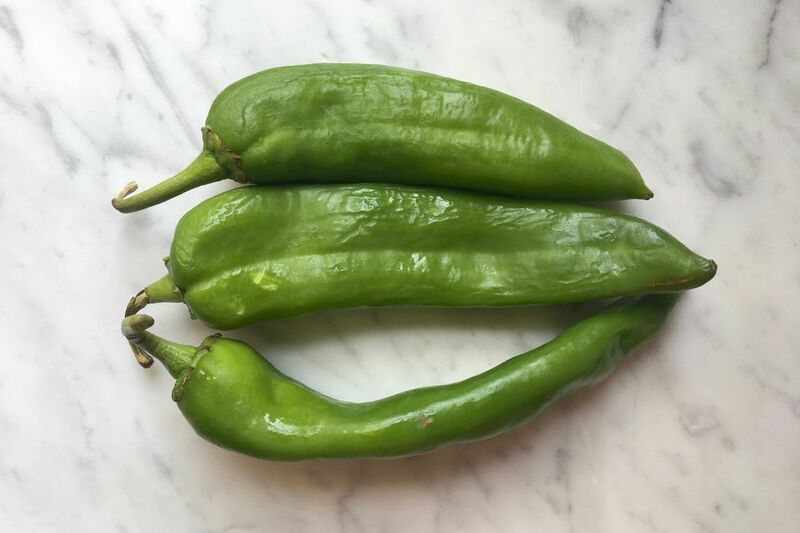 This allows the chiles to cool so you won't burn yourself peeling them, gives the flesh and skin more time to get used to the idea of separating, and makes them easier to peel. If you want to soften them even more, transfer them to a large bowl and cover it with a pot lid, aluminum foil, or plastic wrap for these 15 minutes. Note that the resting part is the key here. You don't need to cover and steam the chiles, as long as you let the chiles sit and cool for about 15 minutes, they will be easy to peel. The covering and steaming will continue to cook and soften the chiles, though. Working with one chile at a time, peel off and discard the blackened skin. The skins should come off very easily. Some people like to use a paper towel to rub off the skin instead of their bare hands. To remove the skin very quickly and get rid of all blackened bits, you can rub the skin off under cool running water. 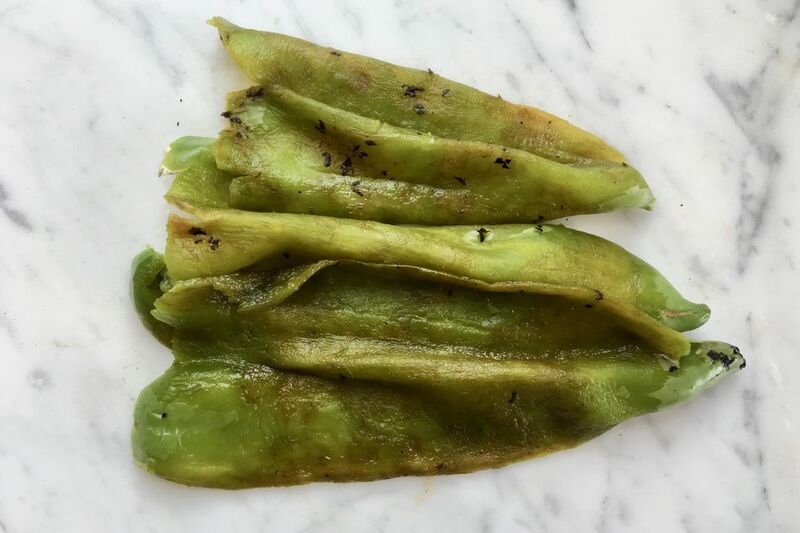 Use your fingers to open up the roasted chile, pull off and discard the stem end and the seeds. You can rinse the peeled chile under cool water to remove any bits of peel or seeds. If you have more than you can use immediately, put them in resealable plastic bags and freeze them. They'll keep for at least six months, or up to a year if you have a stand-alone freezer.